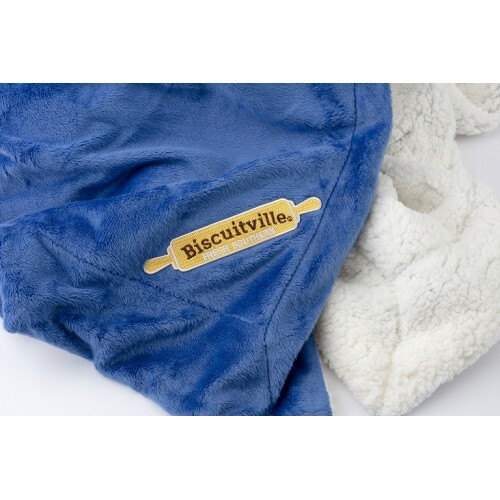 Here's to serving biscuits hot and keeping bodies warm. 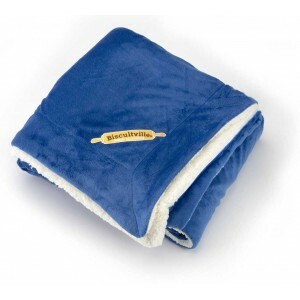 50" x 60" royal blue blanket with 7.7 oz. faux micro mink on front and 8.4 oz. Sherpa on back.